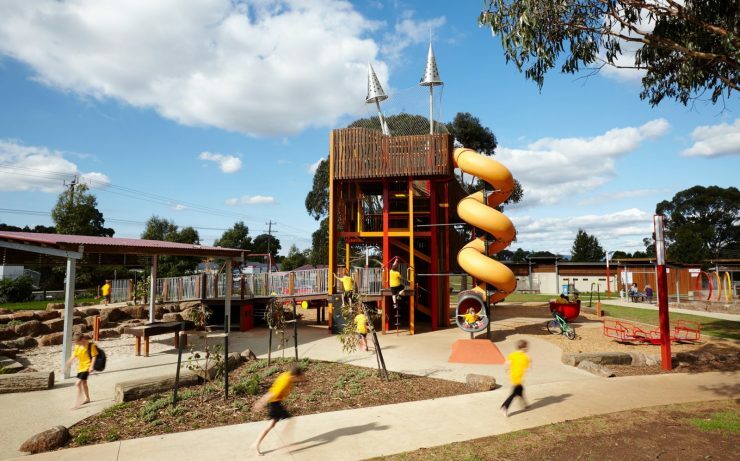 The Wallan Community Bank Adventure Playground (the playground) is prominently located in the heart of the town of Wallan, a newly developing suburb on Melbourne’s northern fringe. 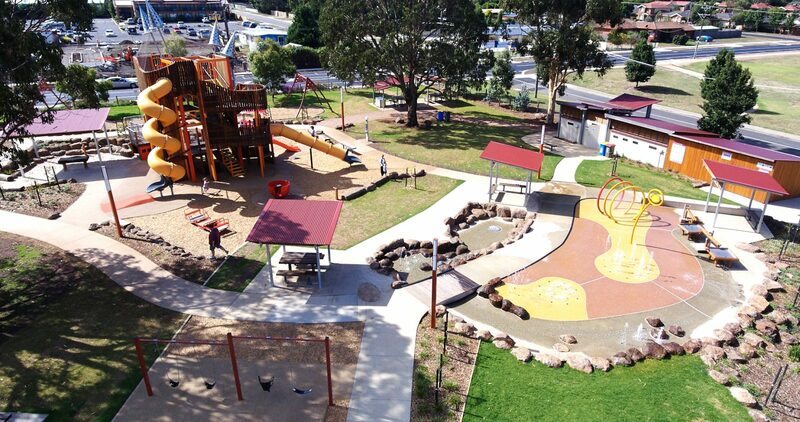 The playground has a strategic role as a social hub in the Wallan Town Centre. 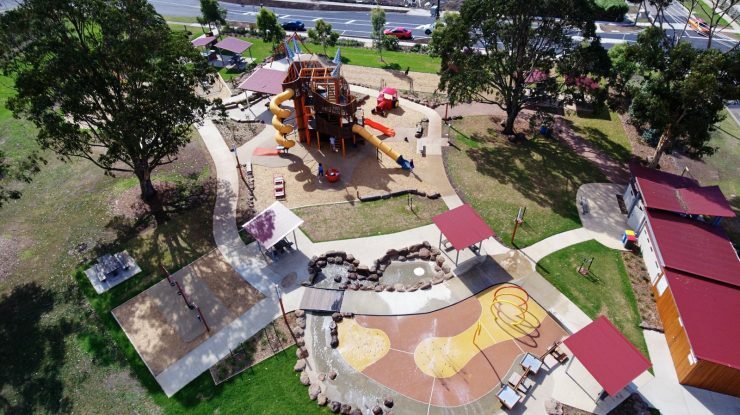 This project is the result of a close collaboration between Mitchell Shire Council, Jeavons Landscape Architects (designers) and Naturform (landscape contractors). 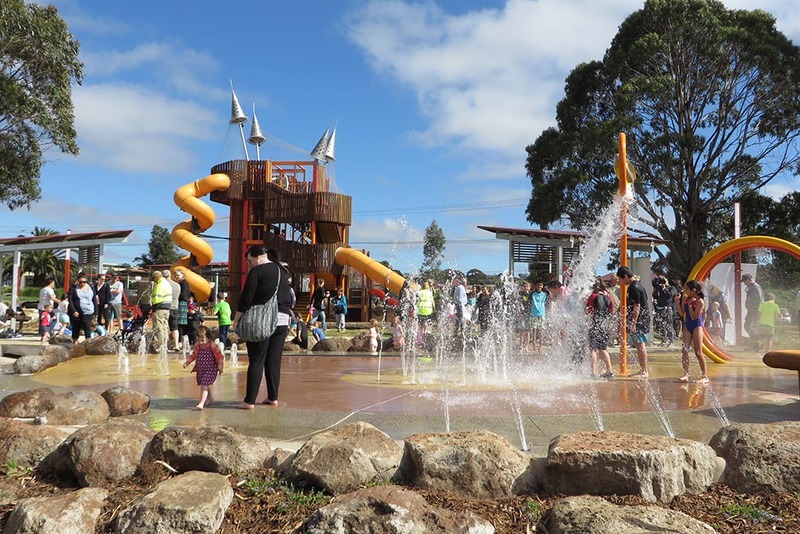 Funded by Council, the Wallan & Kilmore Community Bank and the Department of Environment, Water, Land and Planning (DEWLP), it is an investment in the social infrastructure of this rapidly changing community. 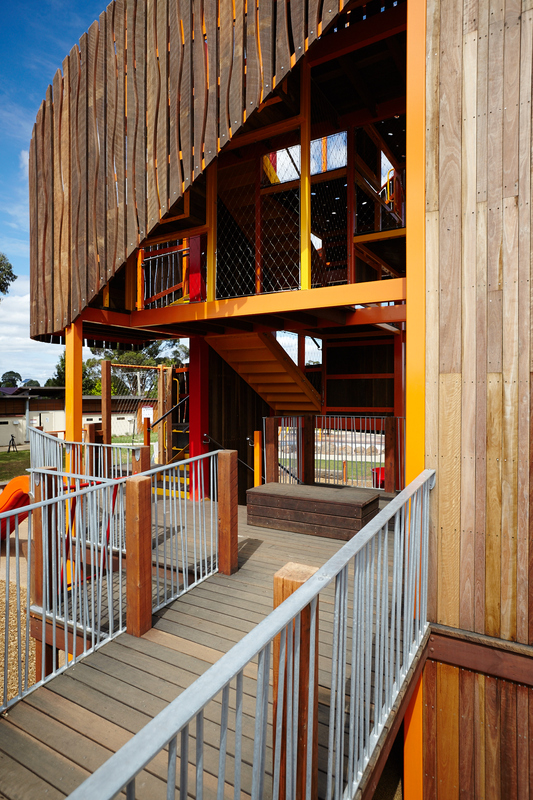 The designers were challenged to produce a ‘wow factor’ design statement that also functions as an accessible, inclusive space for all age groups. 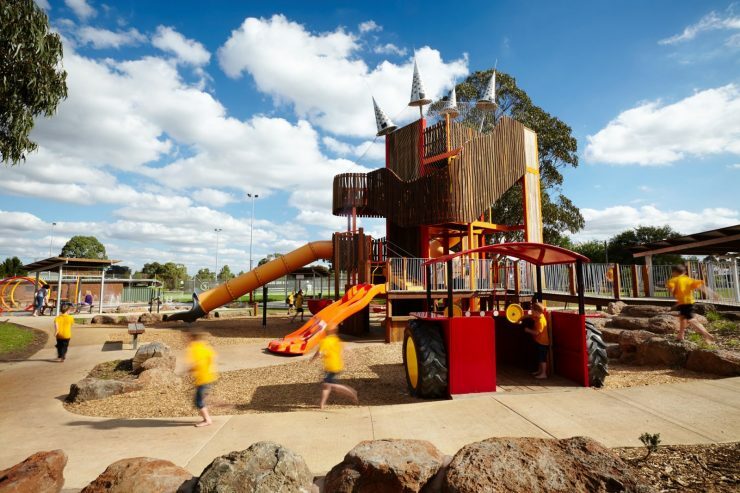 The result is a unique, fully custom-designed, highly inclusive park, water play space and playground that provides a new and dramatic landmark for Wallan and the broader Mitchell community. The design challenges older children and also provides a comfortable, enjoyable experience for younger children and families. 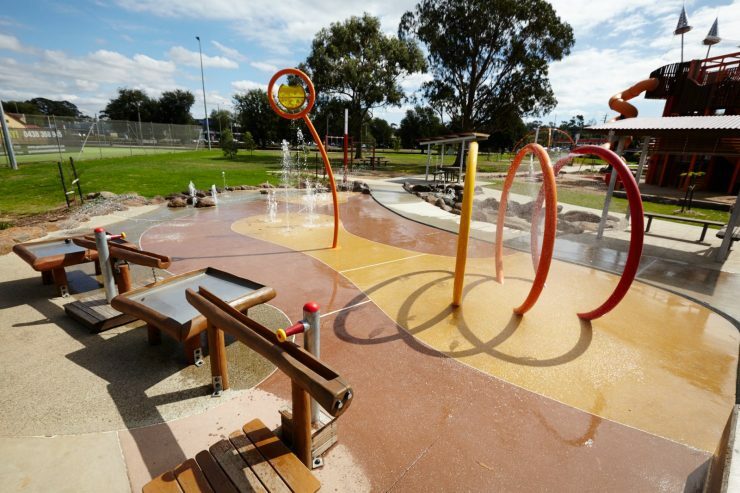 There are many features in this park which each contribute to the year round attraction for both local residents and visitors. 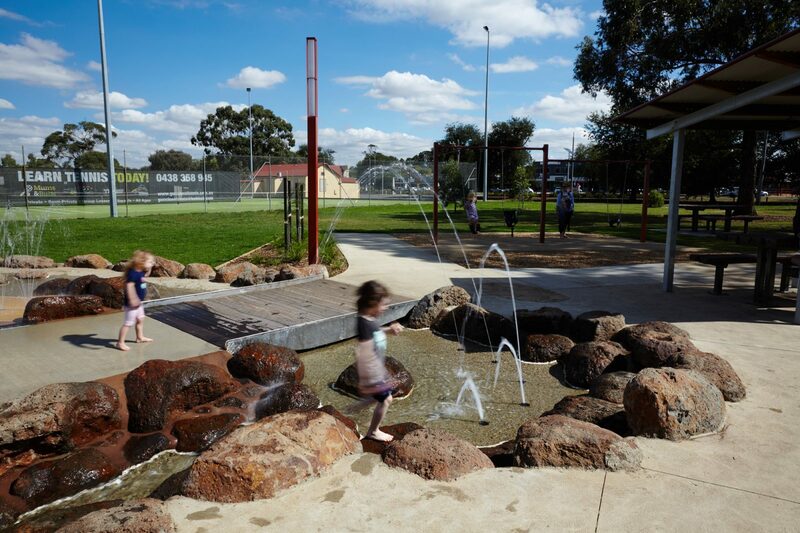 landscaping, rock and water features, grassed areas and soft fall. The playground services both the needs of the growing Wallan community and regional and metropolitan visitors to Mitchell Shire. 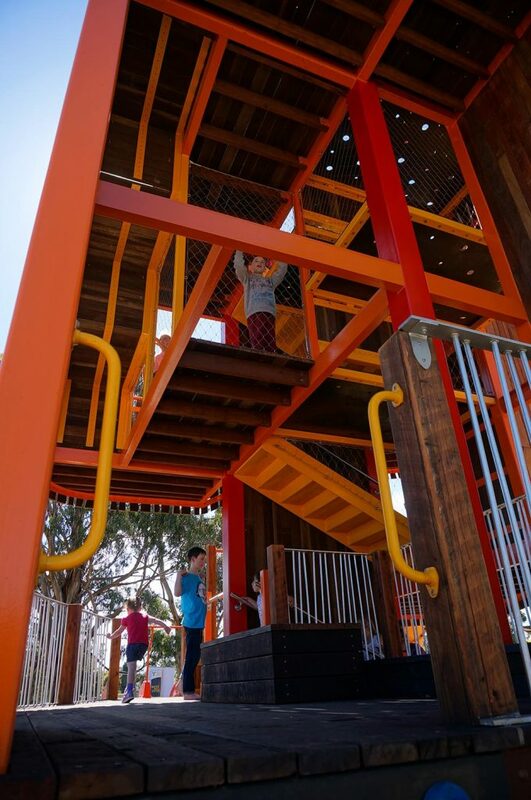 Following community consultation, the playground was constructed in line with the approved concept design and opened to the public on Thursday 23 December 2016. 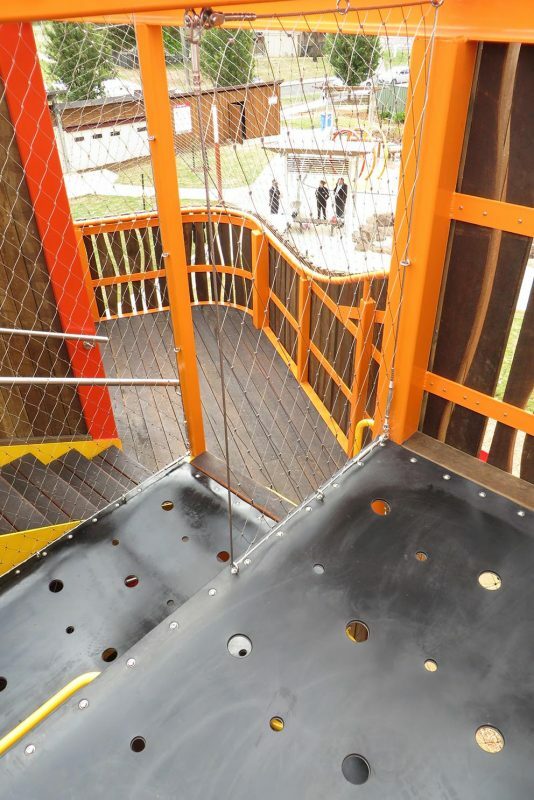 As at March 2017, the adventure playground has been experienced by more 15,000 visitors, particularly on extreme heat days. Community feedback received to date has been overwhelmingly positive.